In 2007, under the guidance of manager Bret Disend, We The Kings placed a number of tracks on the social networking site PureVolume, a division of SpinMedia, to build online buzz. Meanwhile, they also pursued a deal with EMI’s imprint S-Curve Records, which eventually signed the group. On October 2, 2007, they released their self-titled debut album which was produced by Sam Hollander and mixed by Lou Giordano, both of whom had done work with some of emo-pop’s most marketable acts. That fall, “Check Yes Juliet” cracked the Pop 100, and the group spent much of the following two years on the road supporting the CD and building a loyal fan base. By late 2009, We The Kings recorded and released their second album entitled Smile Kid. Like the band’s debut, Smile Kid spawned a Top 100 single with “We’ll Be a Dream,” which featured guest vocals from Demi Lovato. They continued to tour heavily, supporting fellow pop punk band All Time Low for several months before headlining their own shows both home and abroad. The shows stretched into 2011, by which point the group had already begun work on a third album Sunshine State of Mind which was released that summer and contained hits like “Friday Is Forever” and “Say You Like Me”. On December 16, 2013 We The Kings released their fourth studio album entitled Somewhere Somehow which debuted at No. 44 on the US Billboard 200 and at No. 6 on the Rock Albums chart. The album was supported by four singles including “Just Keep Breathing”. In November of 2014, the band released the album Stripped exclusively through iTunes. It features acoustic versions of songs from Somewhere Somehow, including a rendition of the hit “Just Keep Breathing” as well as some new material, “Stone Walls” and the bonus track, “Is This the End?” Currently, Travis and his bandmates are busy working on completing their fifth studio album which should be released in the near future. In this edition of The Creative Spotlight, I had the pleasure of interviewing Travis Clark of We The Kings and asking him a few questions about the band, his personal background in writing some of their smash hits, his memorable performance at CBGBs in New York, and the band’s soon to be released fifth studio album. The Creative Spotlight: Can you introduce us to the We The Kings lineup and tell us what each person in the band does? TCS: For the benefit of those who are not familiar with We The Kings, where are you from and how would you describe your musical genre? TC: We The Kings hails from Bradenton, Florida. Through the years, we’ve been listed as a melodic emo-pop band or something somewhere out there but I think we’re just an American rock band. TCS: Describe for us the background to the 2008 hit platinum single and featured iTunes Single of the Week entitled “Check Yes, Juliet” that sold over 250,000 copies and peaked at number 70 on the Billboard Hot 100 list in the US? TC: “Check Yes, Juliet” was written in the final hours of the writing process and seemed to come out of nowhere. Dave Katz couldn’t seem to get this “Hey Mickey your so fine” sound out of his head and he had to write something for it during the final day of writing. TCS: Why did you decide to sample a lyric from the song “Story of Your Life” from your second album Smile Kid (2009) and make that lyric the title of your album? TC: The album title came first as it was always just an expression we used to remind ourselves to always keep it positive no matter what. We just added it to the song as it seemed to fit well with the vibe of that track. TCS: In what ways does We The Kings market band appearances, sell merchandise, and stay connected to your fans? TC: YouTube…YouTube…YouTube. We are a YouTube band for sure. TCS: After all these years, what separates We The Kings from similar bands and keeps you motivated to continue as a group? TC: I think it is clearly our personalities. We definitely pride ourselves in engaging with our fans (some of us every day!) with more than just music. TCS: Why did you choose “Heaven Can Wait” as the lead single for the 2010 album Smile Kid? And, what personal connection do you have with the song? TC: “Heaven Can Wait” was actually the very first song we wrote and recorded for the album Smile Kid so I think the decision to let it be the lead single was just based on our excitement to get the new music out, so since it was ready, we released it! The connection I have to that song is more of an imaginary fantasy. What I mean by that is, the song was written with the idea that some loves will outlive death. I’ve always been a hopeless romantic writer but this was the first time that I wrote anything along the lines of ‘even death can’t kill our love’… “Heaven can wait” encompasses that idea of death can wait because our love will never die. TCS: “Just Keep Breathing” from your 2013 album Somewhere Somehow, which after its first week of release debuted at number 44 on the Billboard 200, discusses lead singer Travis Clark’s coping with bullying. Due to this personal track, how fulfilling was it to find out that the song debuted at number 92 on the Billboard Hot 100 list with 48,000 downloads sold? TC: I remember the day that we found out that “Just Keep Breathing” was in the top 5 of iTunes singles. We were an unsigned band promoting our music by ourselves and our friends and family. We had no idea how much of an impact that song would make. Each song, once it’s released, gives you a sense of accomplishment and fulfillment, but there truly is nothing like hearing that almost 50,000 people just bought your first single within the first couple of days and loved it. TCS: What aspect of being musicians both excites and discourages We The Kings as a band the most? TC: Are there bands that are discouraged to be musicians? I could never imagine haha. We are always encouraged and excited about what we do. Getting together and going on stage is a part of who we are and it will never get old. TCS: Is there a particular venue that We The Kings has always wanted to play? TC: I’m pretty satisfied with being able to play CBGBs, the undisputed birthplace of punk, before they closed it down. 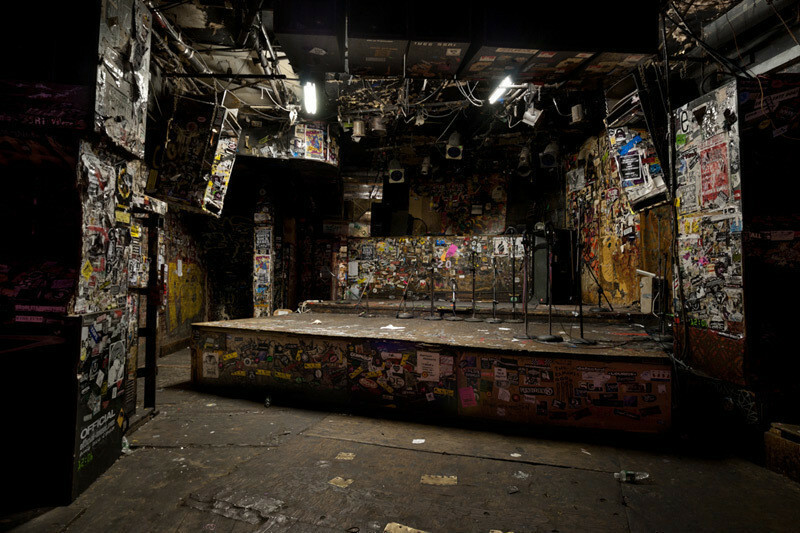 It’s truly a piece of NY music history and we got to play on that stage. It was an honor really. TCS: Over your career, We The Kings has toured with many different types of bands including Slayer, Iron Maiden, and Slash so can you tell us about that experience? TC: This question is a bit deceiving as that was one festival show that we did in Australia a couple of years ago where those three bands were also featured. As much as I’d like to say that we have influences from Slayer, you can clearly tell that that is not the case. TCS: What is the most exciting project We The Kings has worked on to date? TC: Our latest album that will be released soon. The album is still without a title but the songs truly mean a lot to all of us. For booking information, please contact Matt Galle via email at mgalle@paradigmagency.com. In Wildwood, New Jersey Duffer’s Restaurant and Ice Cream Parlor is known simply as the “Best Scoop in Town!” However, this third generation family-run business is more than just your typical ice cream shop. Duffer’s combines the perfect ingredients to create an atmosphere conducive to family-driven fun. Duffer’s can satisfy nearly every vacationer’s definition of the word “fun”. For those seeking a hardy breakfast, look no further. Served from 8am to 1pm, breakfast at Duffer’s restaurant can be enjoyed by early and late risers alike. Duffer’s offers a variety of classic and specialty homemade pancake choices, omelets, breakfast burritos, sunrise croissants, and Belgian waffles. With its cream cheese filling and topped with fresh strawberries, powdered sugar and whipped butter, the Stuffed French Toast is another must-try breakfast specialty. Afternoon visitors enjoy an equally varied lunch menu from fresh salads to steak sandwiches and from gourmet burgers to chicken wraps served from 11:30 a.m. Dinner guests enjoy an array of both American specialties and fresh-caught seafood specialties, from stuffed flounder, fried shrimp and deep sea scallops to homemade crab cakes. Outside, Duffer’s features a challenging 18 hole nautical theme mini-golf course. This course allows golfers to tee up at the foot of a huge sand castle or a few feet from the tentacles of a giant purple octopus. It is perfect for the “gone to the beach” mood of the shore town’s patrons. Finish up the game at the shipwreck of the final hole where you putt for a chance to win a free round of gold during your next visit. On the inside, Duffer’s video arcade has games for family members of all ages including Jurassic Park, Kung Fu Panda, and Batman. Additionally, they offer many amusing games for the little ones too like Gold Fishin’, Fishbowl Frenzy, and Spider Stomp just to name a few. Make sure to save all game tickets. Duffer’s arcade includes a prize redemption center where gamers can choose between tons of prizes ranging from Fun Dip to gumball dispensers. When golfers and gamers work up an appetite, they can head into restaurant where the dessert fun begins. With the island’s largest and only selection of homemade ice cream flavors, Duffer’s offers countless possibilities. Enjoy old fashioned sundaes, banana splits, waffles and ice cream, ice cream sodas, floats, real shakes, and dessert specialties. Once you’ve made your selection, visitors can take a seat at an old-fashioned wooden booth in the parlor and enjoy the rays of colored light beaming from the stained-glass ceiling. In this edition of The Creative Spotlight, I had the pleasure of interviewing Regina Long and asking her a few questions about Duffer’s long-standing history and Victorian style atmosphere, their 18 hole mini-golf course and video arcade with redemption center, and their Restaurant and Ice Cream Parlor. The Creative Spotlight: How long has Duffer’s been in business and who or what inspired you to open a store location in Wildwood, New Jersey? Regina Long: 2015 marks Duffer’s 41st season. My parents, Donald and Dorothy Long, were born and raised in the Wildwoods, so when they decided to open a business, Wildwood was the perfect choice. TCS: For those who are not too familiar with Duffer’s or Wildwood, please share with us some background and tell us where you are located? RL: Duffer’s is a Restaurant and Ice Cream Parlor. At Duffer’s, we pride ourselves in being the original homemade ice cream in the Wildwoods! We are located at 5210 Pacific Avenue in Wildwood, NJ. We are situated on Pacific Avenue between Bennett and Hildreth Avenues. We serve breakfast, lunch, dinner, and late night snacks. For those looking to grab great tasting Duffer’s delicacies to-go, the parlor and restaurant has its own take out section for both food and dessert dishes. Just call ahead and the Duffer’s team will have your order ready for pickup when you arrive. We are a smoke-free and handicap accessible restaurant. Major credit cards accepted. Our hours are seasonal opening at 8 AM until Midnight. During the winter months we are closed. TCS: How did you come up with the concept for the beautiful Victorian style atmosphere inside of Duffer’s? RL: My mom, Dorothy, always loved Victorian Cape May and antiques. The Victorian motif lends itself perfectly to the traditional seashore ice cream parlor of this area. TCS: How many flavors and different varieties of homemade ice cream do you currently have available and what is the most requested? RL: We currently have 32 homemade ice cream flavors available including, black raspberry, butter brickle, chocolate marshmallow, marble caramel, rock road, pina colada, and sticky bun but believe it or not vanilla is still the most popular flavor even though everybody has their own favorite. Our staff relays suggestions from customers, and then we brainstorm and come up with a Weekly Featured Flavor Ice Cream. For example, we recently had Funkey Monkey as the featured flavor and it consists of chocolate ice cream with brownie bites, peanut butter chips, and banana chunks. If you have a suggestion for a Feature Flavor Ice Cream, please email us your idea! You might see it on the menu! TCS: Describe for us your extensive menu items which features breakfast, lunch, dinner, and late night snacks? RL: We try to make most of our menu items right here at Duffer’s– we call it Duffermade. I would say we have a little of everything but always new additions each season. One of our most popular breakfast items is Stuffed French Toast ─ its thick slices of egg bread stuffed with a sweet cream cheese filling and topped with fresh strawberries. For lunch, we serve burgers, melts, cheese steaks, fish tacos, pulled pork, crab cakes, and huge salads ─ you name we have it. Almost every day we have a dinner special from meatloaf, chicken pot pie, or some fresh fish dish. What is nice about Duffer’s is the choices ─ we’ve got something for everyone! To learn more about our menu, please visit our website. TCS: What can you tell us about your 18 hole miniature golf course? RL: Our 18 hole mini-golf course has a nautical theme. It’s a family-friendly course. Some of the holes are interactive. For example, we have a volcano that erupts, a fish pond that blows bubbles, and sharks that squirt water. The cost to play is $6 before 6pm then $7 ─ children 2 and under play for free. TCS: Share with us the various games featured in Duffer’s family-friendly video arcade with prize redemption center? RL: We have all of the usual games like skee ball, basketball, and car racing but what makes us different is we get new games every season to keep things fresh. For example, we have games such as Jurassic Park, Kung Fu Panda, and Batman. Additionally, we offer a lot of fun games for the little ones too like Gold Fishin, Fishbowl Frenzy, and Spider Stomp just to name a few. TCS: If a family wants to host their child’s birthday party at Duffer’s what is included in their day of fun? You are welcomed to bring your own cake and candles! Parties are held from 2pm to 4pm. Children will eat first, have dessert, and then play golf. TCS: Can you share with us some of the ways that you market your business? RL: We market our business using some print advertising and menu guides. We have a Duffer’s website and are registered with rating services like Google, TripAdvisor, Yelp, and etc. TCS: What is your website address and what can your visitors do on your site to learn more about Duffer’s? TCS: Tell us about the Duffer’s Gift Shop? Before you conclude your Duffer’s visit, don’t forget to stop by our distinctive gift shop featuring dolls, Boyd Bears, pictures, Lefton Lighthouses, and many other selections to remember your special day. TCS: Tell us about the Duffer’s Express, a train that runs throughout the restaurant, and Herbie a bear riding his unicycle on a tightrope? RL: When dining in the restaurant, be sure to listen for the chug-chug of the model train known as the Duffer’s Express that circles the parlor. I don’t remember who came up with the train idea but we are always trying to come up with new features to set us apart. Herbie was a bear we sold in our gift shop. My father made it motorized and Herbie was born to entertain thousands. Herbie bikes across a tightrope above the dining room, greeting new customers and dazzling diners. TCS: Is Duffer’s associated with any of the Doo Wop activities or committees throughout Wildwood? RL: Not at this time. TCS: With Duffer’s being such a seasonal business tell us what you and your family do during the offseason? RL: We rest up and start getting ready for the next season. In 2006, Ages Apart came together to write and produce music that they felt people needed to hear. They wanted to impact and change a culture held captive by stagnant radio recycled pop sounds and bring to the world music with substance and depth, where not all band’s sound and look the same. With that, Ages Apart balanced beauty and aggression on their critically acclaimed 2009 debut release Can You Hear Me. The album is packed full of singles that scream the whispered fears and guilty secrets of a disenfranchised generation. Guided by veteran producer Travis Wyrick, who has worked with P.O.D, 10 Years, and Pillar, the band achieved a sound both daring and familiar, at times introspective and at others furiously emotional. Over the years Ages Apart has been together, they have toured through over 20 states and gained the attention of the industry. Black and White magazine calls them “Timeless”. Timothy Toutges of Ed Jones Productions in Nashville raves “Ages Apart is a world class band that will go all the way! This is what Rock & Roll dreams are made of”. Now, Ages Apart returns in 2015 with their widely anticipated sophomore release S.T.A.T.I.C. — an intense and multidimensional narrative of a broken society. With words of truth, meaning, and inspiration in times of need for a disenchanted world, S.T.A.T.I.C. asks you to See Through All The Intelligent Chaos. In this edition of The Creative Spotlight, I had the pleasure of interviewing Cody Webb, Will Bradley, and Chris Srygley of Ages Apart and asking them a few questions about their musical influences, their songwriting and recording process, their summer tour with Hinder, and their new CD S.T.A.T.I.C. The Creative Spotlight: Can you introduce us to the Ages Apart lineup and tell us what each person in the band does? TCS: How did you come up with the band name Ages Apart and is there any specific meaning behind it? Chris Srygley: The name Ages Apart came about because the original lineup varied in age, and came from different backgrounds musically and personally. TCS: For the benefit of those who are not familiar with Ages Apart, how would you describe your musical genre? Will Bradley: Ages Apart is an Alternative Rock band. Fans mostly compare us to bands like 30 Seconds to Mars, Breaking Benjamin, and Shinedown. TCS: How long has this current lineup of Ages Apart been playing together and how did you all get started? Cody Webb: The current lineup has been together since 2011. I started the concept back in 2006 and Chris and I formed Ages Apart shortly thereafter in 2007. After an exhaustive search for a bassist, Marcus Chapman came in and filled the position. Marcus had to step down from his position in 2009 because of health issues. From 2009-2010 we had fill-ins tour with us until Will came on-board at the beginning of 2011. Will had been a fan of the band for years and was familiar with the material. He quickly became a permanent member of Ages Apart. TCS: Cody, at what age did you realize that you wanted to be a musician? And, what famous musicians do you admire and how have they influenced you? CW: I knew from the earliest that I can remember that I was going to be a part of the music world. I started beating on guitars before I could crawl and started writing songs around 7 years old. I have many influences in music but no one person, artist, or band really. My biggest influence is life. TCS: Can you describe for us the Ages Apart song writing, recording, and video production process behind the song “Last Time” which appeared on the debut album Can You Hear Me? CW: “Last Time” was written like most of our songs. I’ll come up with lyrics and vocal melodies and cut demos and start pre-production. After I have the arrangements set, we start studio production where everyone tracks their parts individually until we get the sound exactly how we want it. TCS: What types of guitars, drums, and other musical equipment does Ages Apart use? CW: I use Gibson and Taylor guitars, Marshall amps, TC Electronic effects, Lucid Audio Project and Spectraflex cables, SIT strings, Shure, and Line 6 mics. Will uses Fender basses, Acoustic brand amps, Lucid Audio Project cables, SansAmp effects/driver/DI, and Line 6 wireless systems. Chris uses Mapex drums, Vater sticks, Shure, Audix, and Sennheiser mics, Lucid Audio Project cables, and Zildjian cymbals. The band is sponsored by and proudly uses Venue Magic for stage production and sound effects, Lucid Audio Project cables, Effect Audio IEM cables, CLS Road Cases, and Fishman pickups in our acoustic guitars. TCS: Personally, one of my favorite songs off of Can You Hear Me is the track called “I Believed,” so can you share with us the meaning behind it? CW: Everyone has their own interpretation and meaning of “I Believed” so I don’t want to take away from anyone’s personal experience of the song. To answer your question though, it’s essentially about putting your entire trust in someone, giving your all to them, to later find out that the person and relationship isn’t what you thought it was at all. TCS: What do you think separates Ages Apart from similar bands and keeps you guys motivated to continue as a group? CW: Our live show for one. We work hard to give the fans a killer show experience leaving them with something to remember for the rest of their lives. We aim to not just deliver the music, but to make a connection with everyone that we can. Another thing that I think makes Ages Apart unique is that the sounds you hear on our records are real. We don’t use fake/replaced drums, auto-tune, or anything like that. What you hear is what was played. TCS: Can you describe for us the background behind the song “How Long” which appears on your widely anticipated sophomore release entitled S.T.A.T.I.C.? CW: “How Long” is about the loss of self-respect which results in a loss of respect for others and other things. It’s about the amount of attention we put towards things of little to no value instead of focusing on helping each other and working together to make the world a better place. It’s about the lack of appreciation and respect for those here before us that worked extremely hard and died so we can enjoy everything we take for granted today. TCS: So, what does S.T.A.T.I.C. stand for and how did you decide on it for the album name? CW: S.T.A.T.I.C. stands for See Through All The Intelligent Chaos. I came up with the title while working on final lyrics for the record. The message of the record is ultimately about less division and coming together as a human race. TCS: From an artistic perspective, what was your favorite part in the making of S.T.A.T.I.C. and what is your favorite song off of the album? CW: Our favorite part of making S.T.A.T.I.C. is that we got to record it exactly how we wanted. This time around, we had no outside influence. It’s really hard for me to nail down a favorite song. I love all of them and they all have different personalities. TCS: In what ways does Ages Apart market band appearances, sell merchandise, and stay connected to your fans? CW: Although social media is a huge part of our outreach, we like to personally meet our fans. Our website is the hub of information and communication for us. We run our social media page so that’s where people can chat with us directly. Our merchandise is distributed through many stores throughout the world and that continues to grow daily. TCS: Share with us how excited you guys are to be touring with Hinder this summer and tell us how you landed the gig? CW: We were very excited to have been on the road with Hinder this summer. It was a blast and those guys are good people. We’ve made a lot of new friends on this tour and are very thankful and proud to have been invited. TCS: Is there a particular venue or festival that Ages Apart has always wanted to play? And, what other entertainer or entertainers would you most like to have play alongside you on that stage? CW: We’d like to play Red Rocks in Colorado and would love to share the stage with Foo Fighters. TCS: What does the short and long-term outlook look like for Ages Apart? CW: We’ll continue touring in support of our new album S.T.A.T.I.C. and are constantly writing new material for the next record. Everyone checking out this interview, I invite you to grab a copy of our new album from your favorite retailer and come see a show. For booking information, please contact David Adkins at 503-983-3949 or via email at dadkins@integritymusicmanagement.com. For many generations, “Wildwood by the Sea”, famous for its free, wide, white, sandy beaches, and world class boardwalk, has long been considered the number one fun-filled family vacation destination. The Wildwoods’ award-winning boardwalk stretches along the beach for more than a mile and a half and features 38 blocks packed end-to-end with stores, shops, eateries, casino arcades, and, most notably three world-class amusement piers collectively known as Morey’s Piers. Morey’s Piers, recognized as a premier regional entertainment destination, has been family owned and operated since 1969 and is currently run by brothers Will and Jack Morey. Will, President & CEO, and Jack, the Executive Vice President and Chief Creative Officer, are second-generation partners in Morey’s Piers, an amusement business that got its start when their father, Will Morey and uncle Bill Morey, debuted a giant slide between 25th and 26th avenues in North Wildwood. Since then the Morey name has become synonymous with the Wildwoods. Morey’s Piers, designed in a carnival-like atmosphere, features over 100 rides and attractions, well-known eateries, as well as two beachfront waterparks. 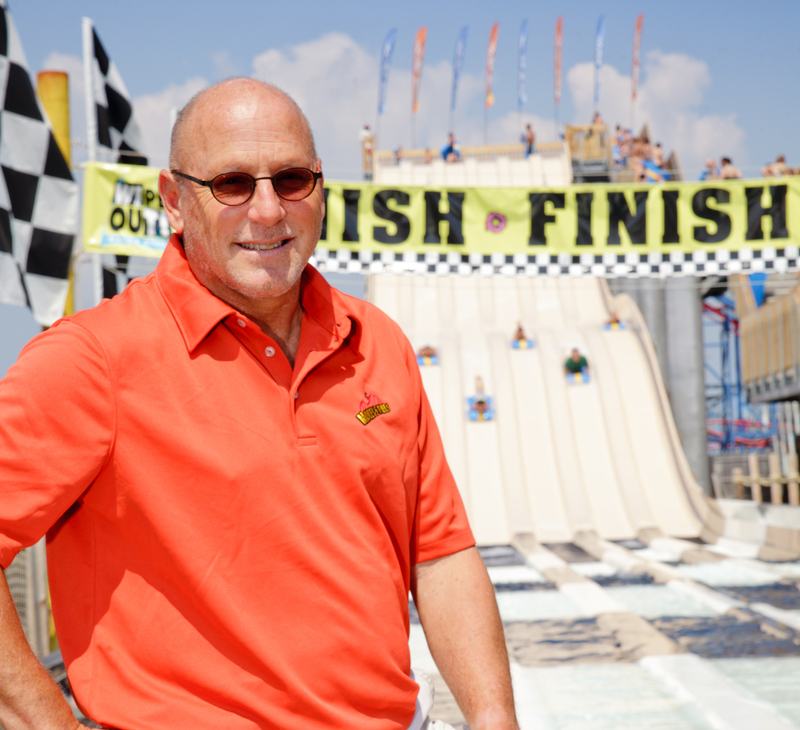 Jack currently serves on the board of Greater Wildwoods Tourism Improvement and Development Authority as the chair of the strategic planning committee and the International Amusement Parks and Attractions (IAAPA) Hall of Fame committee. He has served on numerous boards including, the Greater Wildwoods Chamber of Commerce, Boardwalk Special Improvement District, and the Mid-Atlantic Center for the Arts. In this edition of The Creative Spotlight, I had the pleasure of interviewing Jack Morey and asking him a few questions about his life as Executive Vice President and Chief Creative Officer of Morey’s Piers, his love of the amusement business, his inspiration for opening fine dining experiences on the Wildwood boardwalk, his plans for a brand new big roller coaster project, and his book Fab-o-rama. TCS: In 1969, with the introduction of the famous giant slide called “The Wipe Out”, your father Will Morey Sr. and your uncle Bill got into the amusement business so how do you think the business and Morey’s Piers have both evolved over the years? Jack Morey: The very essence of the entertainment product has not really changed. In our view amusement type entertainment is now and has always been about creating environment for the masses. While this requires a good understanding of popular culture it also requires a bit of a crystal ball or perhaps a belief that you can invite things that guests will like (my favorite!!!). For a brief period, we strayed to try to be and compete with the traditional theme park that attracts a high percentage of teenagers with extraordinarily expensive roller coasters, but learned the hard way that we could and should not do that. The Wildwoods are special first and foremost as a great family vacation place because of the “beach” and no theme park, not even Disney has that. You can’t and shouldn’t try to make Wildwood into something it isn’t, a Disney, a theme park, etc. Rather, your strategy should be to make the most of what you have. What Wildwood is, is one of the last real down and dirty, TACKY with a capital T, beach resorts. What you need to do is take Tacky to the new heights. First, use your specialist, entertainment designers to help with the programming, getting the right mix of rides, food etc., but don’t let them design a whole pier. Instead, find some old fashion sign guys, painters, sculptors, etc. and you orchestrate with people who appreciate tacky. Mix and match designers. And when you’re done, which you never are, you will have the biggest, gaudiest, brightest, tackiest piers in the world. TCS: This summer, Morey’s Piers welcomed back Kong, a gorilla-themed amusement ride once a boardwalk landmark in the 1970s, as the new centerpiece of Surfside Pier. With that, can you tell us about the background story in bringing Kong back after 35 years? JM: it is just as important for an amusement park to be about the past as it is the future. While a park that is fully built on nostalgia would likely be a disaster, tapping into certain elements of remembrance is important to the intangible qualities of a place. The origination of Morey’s Piers was based in no small part about custom one off attractions of which Kong was a big one. Our recent Ghost Ship haunted walk thru was another that was routed in the past, but one need not have lived in the past to appreciate it today. “Relevance is relative”. Once we decided on the ride element we focused on a method to do what my dad used to say,”Wildwoodize it”. This generally meant to make it unique to Wildwood and try not to go broke in the process. We decided to send our initial design concepts out to our guests for feedback and to our surprise we received over 6,000 comments (ouch, they didn’t love it!). The general consensus was that the look was not specific enough to Wildwood. So, off came the I heart NJ t-shirt and the Statue of Liberty and on went the I heart Wildwood and the famous tram car. TCS: How thrilled were you to find out that your Water parks, Raging Waters Water Park and Ocean Oasis Water Park + Beach Club, were named #2 out of the country’s top 40 water parks, according to Foursquare? JM: Like most of Morey’s Piers our water parks have evolved significantly over time. In the late 70’s they were limited to 3 simple water slides that guests would rent by the 1/2 hour. They were clearly front runners in the whole water park invention years. They became full-fledged water parks in the mid 80’s and then in the late 90’s we needed to take the 80’s out of the park (note the 80’s were the low point in American architecture). Like most things we do we attempt to lead the market as opposed to react to trends that others create. This is very risky business, but when the rankings come in we are reminded and grateful of what we do and why we do it. TCS: How would you describe your target audience and how many visitors does Morey’s Piers attract on an annual basis? JM: Our primary audience is families on vacation with young children. While we would not turn down older teenagers, we do not specifically build attractions for them and will continue for the foreseeable future to leave that to the Six Flags of the world. More recently we have made significant investments to also attract the parents of young children via the introduction of better foods and occasional spirits. Best we can calculate (we have not gate) is that our attendance is about 3.5 million people. TCS: Can you share with us some of the weekday specials offered throughout the summer at Morey’s Piers? And, can you tell us about Morey’s Brunch Bunch and Morey’s Kids Kamp? Brunch Bunch is a cartoon character breakfast on the upper deck at Joe’s restaurant that involves the whole family. Characters are the popular ones from Frozen, Cinderella, Spiderman and of course our very own Sunny the Seagull and Curley the French Fry. The brunch concludes with admission to the water parks. Kids Kamp is a week long program for kids. They get to spend 1/2 a day doing various educational arts and crafts in addition to admission to the water parks. For the super value conscious we offer drastically reduced admission to the piers on Tuesdays. TCS: Tell us how your father came up with the idea of having Breakfast in the Sky on the Giant Ferris Wheel on Morey’s Mariner’s Landing Pier while visiting California? JM: I remember this vividly as it was during the last round of golf I ever got to play with my mom and dad. It was in Palm Springs at a beautiful golf course immersed in the natural surroundings. We were discussing how we could better integrate our own Jersey Shore natural resources into our product offerings. Since the beach is the number one natural resource that attracts our guests he came up with the idea of giving people an eye in the sky view of the shoreline. A number of years later we added the elegance and quirkiness of white table clothes and gourmet dining options. TCS: In addition to Breakfast in the Sky, Morey’s Piers offers guests a wide variety of dining experiences, could you highlight some of them? JM: Man cannot live on sweets alone so we have been heavily investing in experiences that are more varied and more elegant, but still unique and always a little quirky. Part of this effort was to hire our very own executive chef, Wally Jursuz. Joe’s FISH Co. is simply about fresh fish and the opposite of things you might expect on the boardwalk. Jumbos is a great place for large party’s and large quantities of food. Taco Joint has the best tacos this side of the border. And perhaps my favorite…Stubborn Brothers. Named after the yin and yangness of my brother Will and I, it celebrates the sibling rivalries in all families. It is one darn good beach bar with superb food (by Chef Betsy), superb drinks (join me most days at 5:30pm with my dog for a rum runner), and a superb up front and personal view of the beach and ocean. Add live music and you might just spend the entire day. TCS: Can you describe for us the Haunted Ghost Ship attraction, better known as Ignis Fatuus, which launched on Mariner’s Pier in 2010? JM: The Ghost Ship is a 10,000 square foot haunted walk thru attraction that pays a bit of homage to the great haunted houses of the boardwalk past. The actors are professionally trained to prey on the weak. The attraction is quite beautiful and a real boardwalk classic. TCS: Can you share with us the inspiration behind opening Morey’s Fears: Terror on the Boardwalk Halloween Event and how it has evolved since it debuted in the fall of 2011? JM: Unfortunately we have discontinued Morey’s Fears. It was truly a great performance, but in the end we are first and foremost a summer place and the distance to the major population areas was just too far to be successful. TCS: Can you tell us about the [artBOX] which debuted as a new attraction on Morey’s Piers Adventure Pier in 2013? JM: [artBOX] is a work in progress museum in the making. After being inspired by the creative and adaptive re-uses of shipping containers we decided to create a pier that was an alternative to the two other more classically themed piers. The [artBOX] is a studio and gallery of 11 shipping containers that has attracted local artist. The artist have helped to create a personality for the rest of the pier via creatively re-using old rides from our boneyard and converting them into works of public art for things like benches. Adventure Pier is all about extreme rides, live music, and of course art. TCS: Share with us the background behind the book Fab-o-rama! A Wild Ride: The Story Of Morey’s Piers, Planet Earth’s Greatest Seaside Amusement Park? JM: When our 40th anniversary snuck up on us we decided it was time to publish our first book. Having seen too many coffee book dust collectors we searched for a better way to tell our story without sticking to a purely chronologic method. The credit goes to Jack Wright of Exit Zero publishing whom appreciates tacky, quirky and history. A purposeful pun about the book is that it actually has two covers. One is Faborama (for my brother Will) and the other is Wild Ride (for me). Same exact interior ingredient, two completely opposite exteriors…get it? A video of the book launch is attached which is none other than a man being launched out of a cannon holding two books. That was a great day. TCS: Over the last few years, we’ve heard about plans for the construction of a brand new big roller coaster project. With that, can you share with us some specific details about the ride, how much of a financial investment are you making, and how does it compare to other coasters across the country? JM: Due to concerns for sufficient public parking we needed to place the proposed coaster on the back burner. The coaster would have been the most expensive attraction ever built in the Wildwoods by a factor of two and the risks were just too high without the proper governmental support for strategic long term parking concerns for the entire boardwalk entertainment district.